Hi, I'm trying to set the paper format into printers properties to be the same as report paper format, wich is legal in this case. The output is a PDF file. The printer paper format is always set as letter, even if the report is legal in preview mode. How can I change the printer settings. I tried this code without succes. 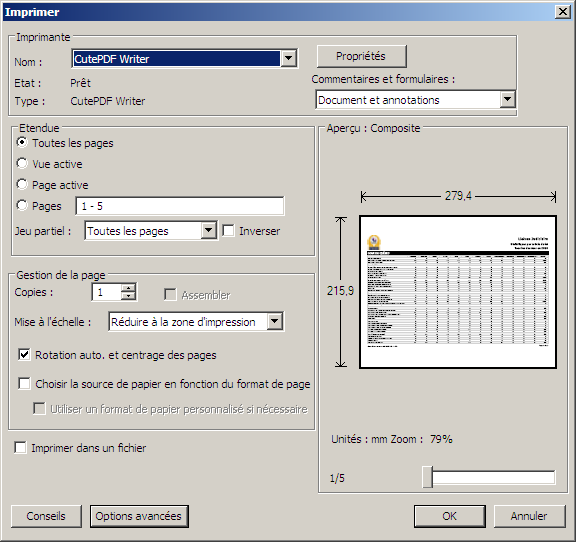 I beleive that the Preferences.Printing settings that you are setting here only affect the report.Print method. I don't think a PDF document actually stores any printing preferences information in the document itself. You will probably want to set the PageSize on the section, but even then, I think this only affects the document layout, not the page size that the PDF reading will default to.